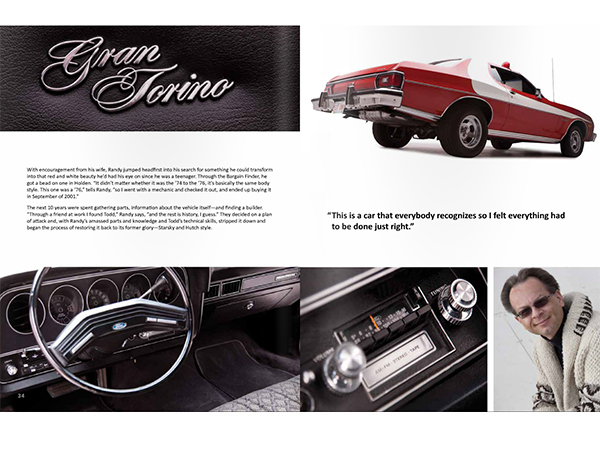 Like many S&H Torino owners, Randy was a teenager who grew up watching the TV series and wished to own a Gran Torino one day. After "life got in the way" for about 20 years, he says, having the series come back on TV triggered old memories and got the juices flowing again. 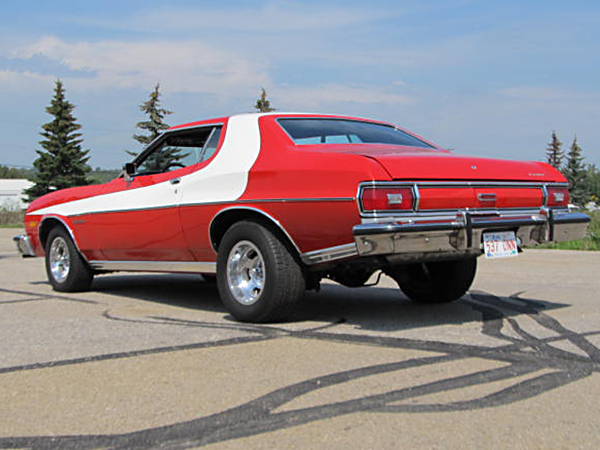 With a push from a co-worker, a Sunday morning part-time job to cover the cost, and - most importantly - his wife’s blessing, Randy was able to find this 1976 Gran Torino for $1,400 from the original owner in Holden, Alberta, in the spring of 2001. The car had sat in a shed for 13 years! 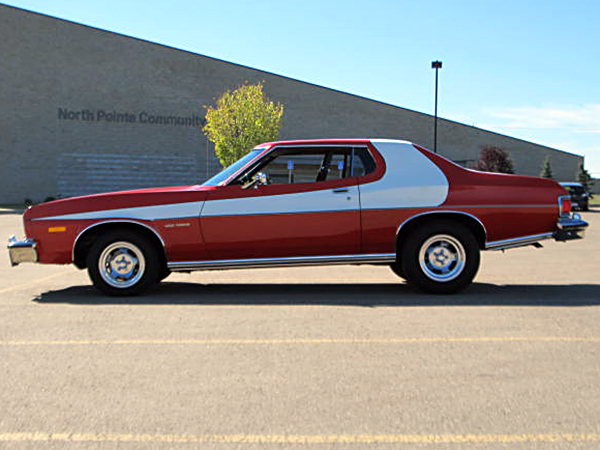 Because it was a ’76, he wanted to replicate the car from seasons two to four of the TV show. Thinking that getting the stripe right was 95% of the car, in 2006 he was fortunate enough to have Doug Stevenson trace the stripe on one of the TV cars he owned at the time. Doug sent the tracing to Randy along with more specific information about the car. 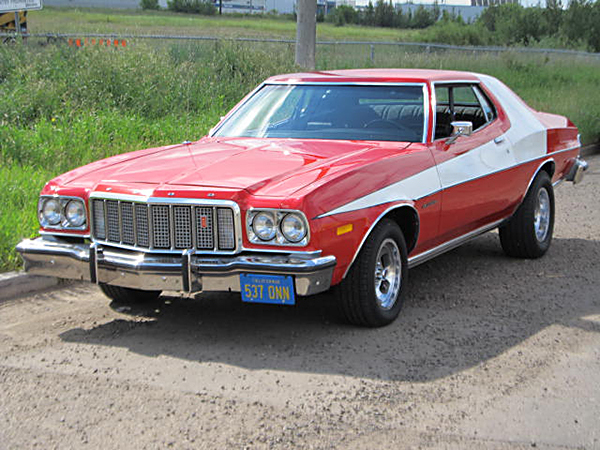 As you can see above, Randy did an excellent job replicating the TV show car's stripe and "rake." After gathering NOS parts, including glass, from numerous suppliers and getting other parts re-chromed, Randy finished the car in 2011. The motor is a 400 rebuilt back to stock by Best Engine Rebuilders, and the bodywork and paint were done by Todd Nicholson (ochd65tn@gmail.com). 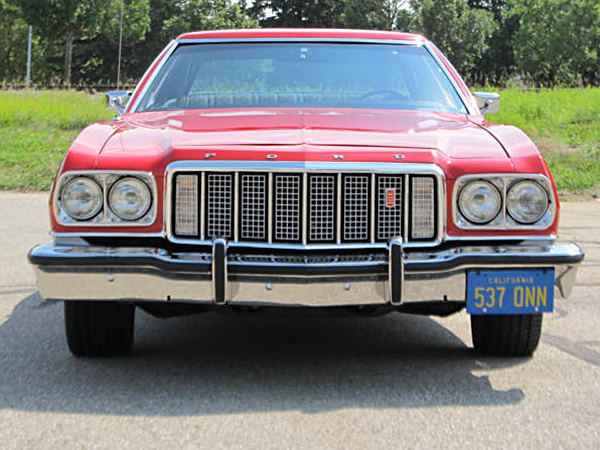 The interior is basically all original, with cloth bench seats, tilt steering wheel, cruise control, A/C, AM FM 8-track & power trunk release! 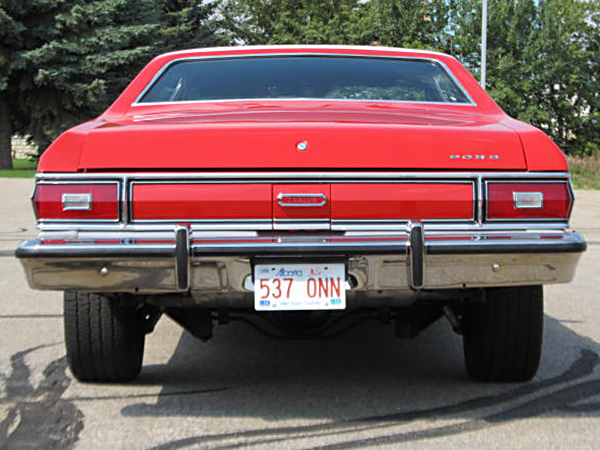 The car also has dual exhaust with Flo-Master mufflers, air shocks, station wagon springs, spring spacers, silver filler panels, 15” rims all around with P225/60s on the front & P275/60s on the rear, and a personalized 537 ONN Alberta license plate. 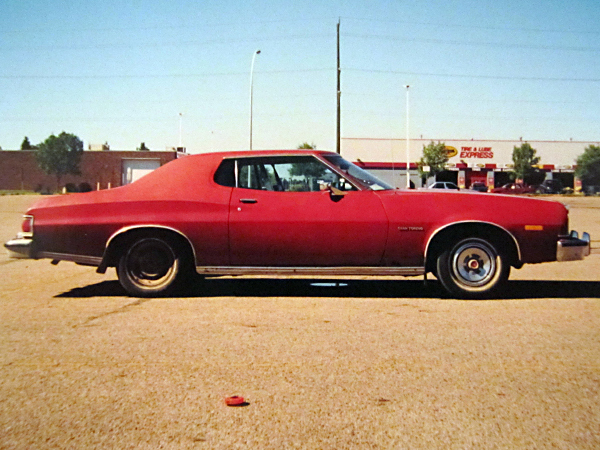 "Although our driving season is relatively short and I only drive my car when the weather co-operates," Randy says, "I still managed to put 3700 miles on it in 2013, taking friends for cruises on a ring road around Edmonton." 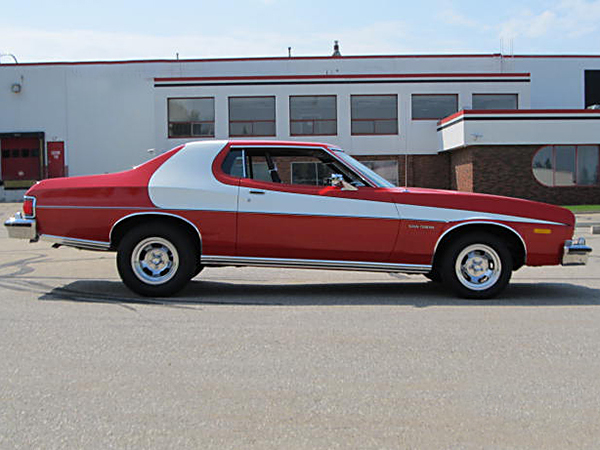 Randy's car was featured in the November 2012 - February 2013 issue of Garage Shots (a car magazine done locally, but distributed throughout Canada). See the Magazine Story & Photos. Created February 2, 2014. All Rights Reserved.